An exchange of one type of currency for another has been in place since ancient times. Today we use the foreign exchange market is a form of exchange that occurs when different countries wish to trade international currencies. This market determines the values of all the different currencies around the world. Since the market value of a specific currency fluctuates everyday there are financial centers around the world to help keep track of the quickly changing environment. These centers act as strong anchors that help add stability to the large range of buying and selling that occurs in the market. This system, that has been developed over time to be as fool-proof as possible, is a major part of the overall world economy. Without the foreign exchange market, there would be no documented out of country conversion value for any currency. 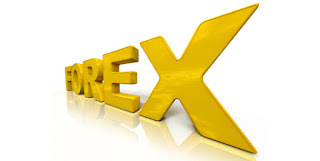 Using currency converter is one of the ways that the foreign exchange market assists international trade. If you have ever traveled to another country one of the first things you do when you get there is convert your money. This system, which is changing all the time, also permits a business on one side of the world import goods from the other side of the world even though they may have different currencies. There are many ways to check and see what the current conversion rates are; the most common way being online, where up to date currency conversions are always waiting. However you can call many financial centers or banks to get the information that you are looking for. There are millions, if not billions of international transactions every day that require the use of foreign exchange and currency conversion. During the 1970's such exchanges took a large amount of time to complete because of the lack of high-speed technology and the fact that the countries switched from having a fixed exchange rate to a floating, or changing, exchange rate. Today a normal transaction is fairly quick and is solely comprised of one party purchasing a quantity of one currency while paying with another type of currency. Since there is always an automated exchange rate this process runs smoothly and can be done almost instantly. The speed that a trade can be done is why some professionals make it their job to watch the ever-flowing market to make money every time there is a small increase in one currency. This could just as easily cause huge loss.